I don't explore much, but if you were alliance you would have seen this a lot sooner than I did. 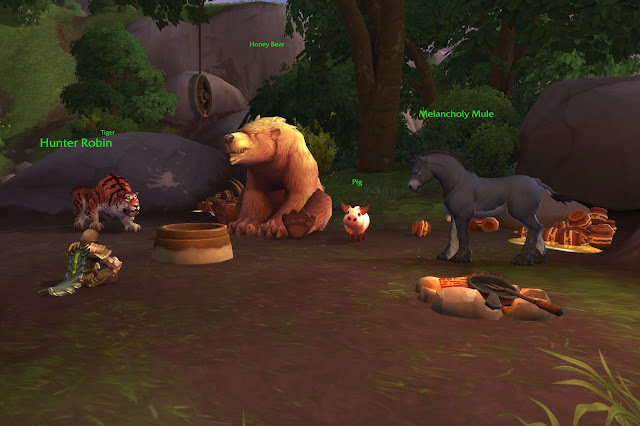 There was a treasure at this spot and it was the honey pot in front of the bear, and when I went to click it I realised who these NPCs were. Why, it's Christopher Robin! And Pooh Bear, Eeyore, Piglet and Tigger! You can find them in Stormsong Valley at 66, 71.